Cycling throughout the winter can prove demanding, but we believe it is worth the challenge! Think of the exercise, mindfulness and flexibility it provides. Why would you give that up during the most dreary months? Read on to find out more about winter cycling and its merits. The autumn days are upon us and it’s high time for the winter attire to be pulled out of the closet. Regardless of shifty weather and cold fronts coming in, we advocate for continuing cycling throughout the cold weather months. Ever thought taking the bus will be the greatest idea when the first snow hit town, yet found yourself with dozens of others at the bus stop waiting forever as the bus couldn’t carve its way through the city? The stormy weather can mean disruptions in public transport and parts on our own vehicles break more frequently, especially on our trusty iron companions. The stubborn segment of bikers who challenge winter biking often invest heavily in maintenance of their bikes before and during the winter months, but even then it’s not always smooth biking. Ever had your bike chains fall off at a large intersection? Forcing you off your bike to get your hands dirty when it’s arctic temperatures outside? These dreary scenarios have happened to all of us in one way or another yet we still believe that cycling is the best way to get around in cities, all-year-round. 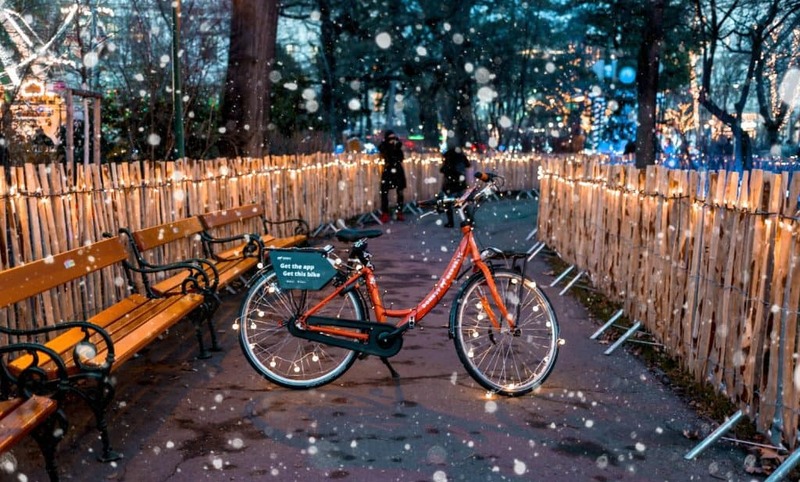 Consider using shared bikes and giving your own bike a rest period to hibernate during the winter months. Or if you rather use public transport, you may find bike-sharing a good complimentary service. You’ll save money on maintenance and still enjoy the flexibility and convenience of cycling when you feel like it. 3) You sign up for Donkey’s winter offer to be the most flexible ever (I mean, when it comes to transportation) during the winter months. Winter time is always harder on our bicycles. Icy temperatures can cause the brake-cables and locks to freeze up and due to the high levels of water, the chains and “joints” of your bike can become rusty. The icy and slippery bike paths and the liberal tossing of salt mean more friction towards your wheels – it surely isn’t a bubble bath for tires. 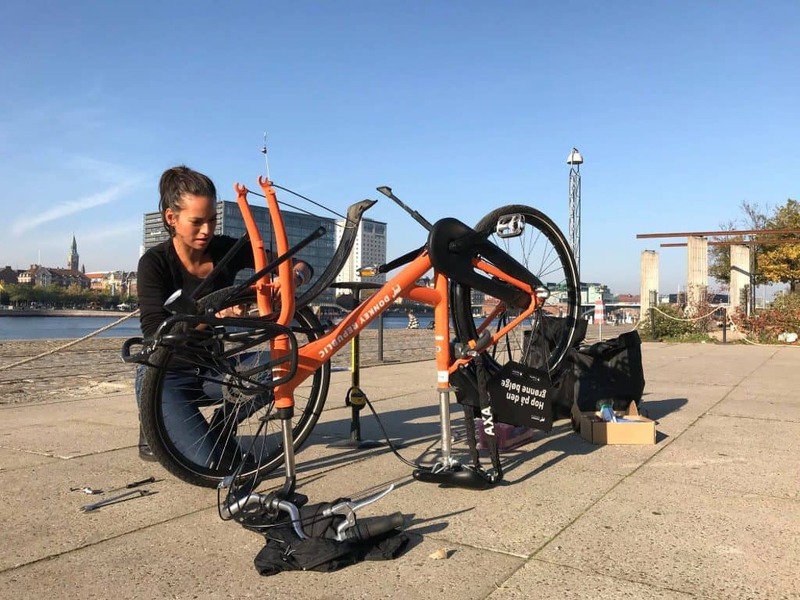 According to Politiken, a bike maintenance session can cost between 200 to 450kr (27 euros and 60 euros). If the wheels need to be aligned or changed, you will surely pay the latter. Even more so, once the wear and tear of the winter months come to an end, your bike will surely need a revisit to the mechanic to become spring-ready. Consider saving these trips to the mechanic, and give your bike a few recovery months in the warmth of your basement and use our fleet of Donkey Bikes instead! 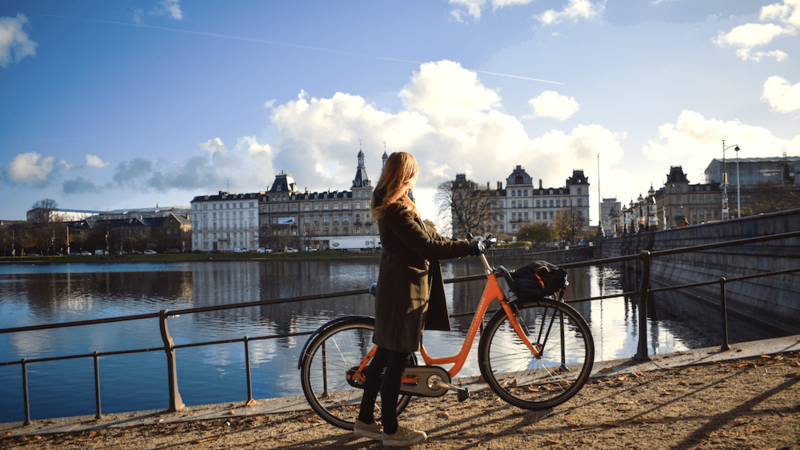 One of the benefits of using a bike-share system is that you don’t have to worry about maintenance and bike mechanics will consistently make sure that the fleet is in working order. Your neighbours might decide to lock up their bikes in the basement and survive the winter months by riding public transportation, but we think there is a better alternative. This half-year long break from biking means you lose out on a worthy daily exercise. Also, have you ever noticed how your bike ride somehow makes you feel more clear, calm and focused? Biking has become a recognised method of mindfulness, a healthy and meditational way to transport yourself around. You peacefully pedal your way through less traffic, get your joints loosened and put your mind more at ease. We argue both for other individual benefits, but also for the safe-keeping of the environment through less congestion and CO2 emissions. It is easier to enjoy rare sunshine during winter or get to an unplanned meeting when you have flexible access to bikes wherever you may be. 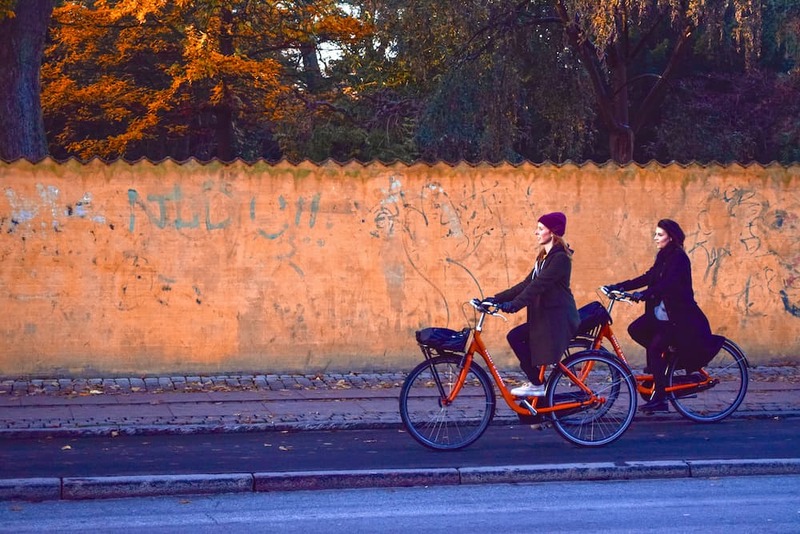 You can use a shared bike to quickly make your way around the city instead of spending unbudgeted money on taxi rides. 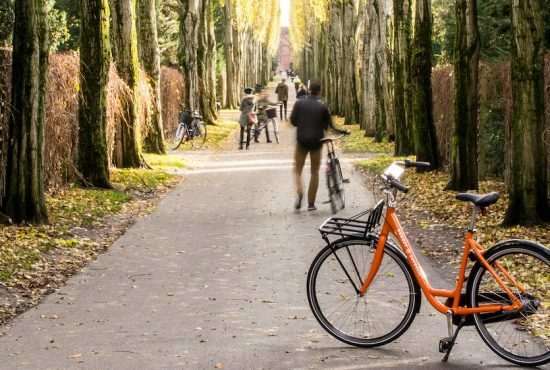 The most charming asset of bike-sharing is convenience. At any given moment, a Donkey Bike is within reach. Essentially, the freedom of a shared bike allows you to leave the bike at whichever suitable hub and pick up a new one whenever needed. Pretty nifty right? 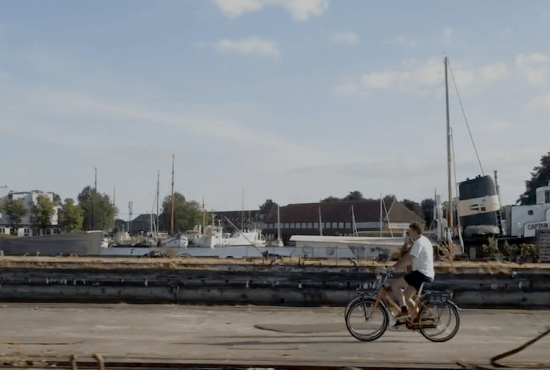 We want to inspire even more locals to give this shared-bike culture a shot. Our statistics reveal that there is a real increase in locals using our services. In July 2017, a total of 12,700 trips were made on Donkey Bikes. In the year 2018, this tally has reached an astronomical 136,000 trips, in other words, over 1000% increase. We are thrilled to see such an embrace of the bike sharing culture. The winter months, as we have argued, is one of the most befitting times to give your own bike a rest and have a go on a shared Donkey. Or if you’ve never considered cycling during winter, maybe now you will? 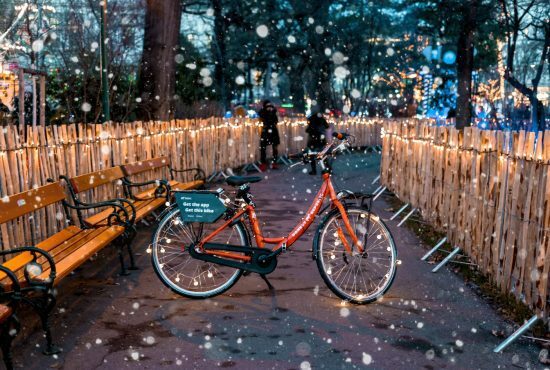 A loyal orange companion will always be close by and we hope you will fall in love with the flexibility and freedom bike sharing will give you.